Wenda Gu is one of China’s most influential and daring contemporary artists that revitalizes and reinterprets ancient Chinese practices and symbols entangling them with currently present meaning and style. 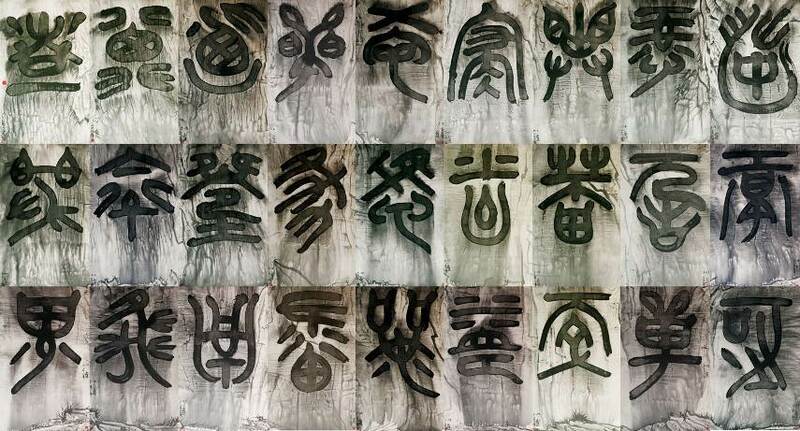 Gu is known for using traditional ink painting, poetry, calligraphy and seal characters in new or fictional manner, as well as the use of human body materials, such as hair or placenta, as mediums of his art. Gu started as an artist who violated the Chinese orthodox doctrines of artistic values and questioned the authorities and became a fully praised international artistic figure that reflects on problems in the globalized world in his works. 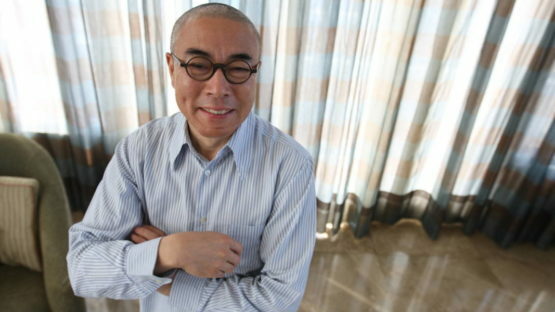 Gu is born in Shanghai, China in 1955, where he graduated from Shanghai School of Arts in 1976 and received his MFA from China Academy of Arts in 1981. There, he studied under the classical landscape painting master Lu Yanshao and taught from 1981 to 1987. 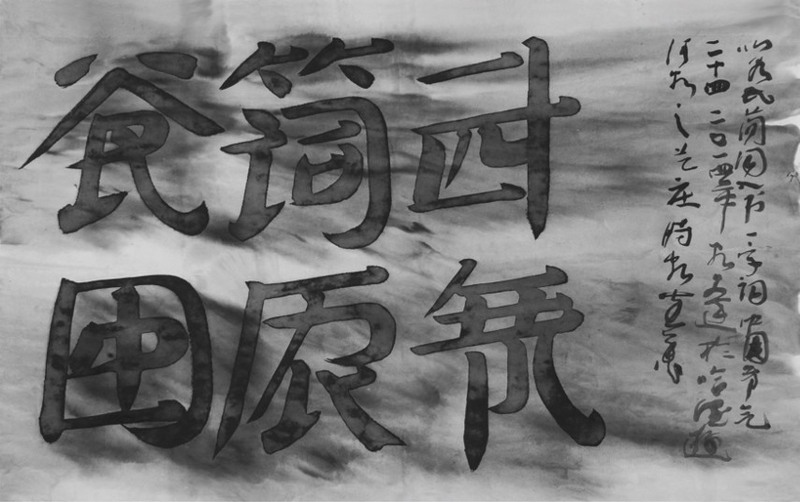 During the period from 1981 to 1987, he created his The Mythos of lost Dynasties series of large scale ink paintings of fake, miswritten or invented but readable Chinese characters and printing style calligraphy. This was the first example of conceptual ink art in China and the exhibition itself was banned and closed by authorities, only to be opened for a circle of scholars and professionals. It was one of Gu’s first works that dealt with the limits of language and communication. All of his later pieces are structured under the same need to expose and overcome those limits. Since 1981, Gu had numerous solo and group museum and gallery exhibitions and attended many biennales worldwide. In 1987 Gu moved to the US and firstly taught at the University of Minnesota, only to very quickly become recognized and praised as a great and important artist in the States. He moved to New York where he still lives, occasionally visiting China. In 1993 this artist started one of his most significant, inclusive and complex on-going global art projects – The United Nations. 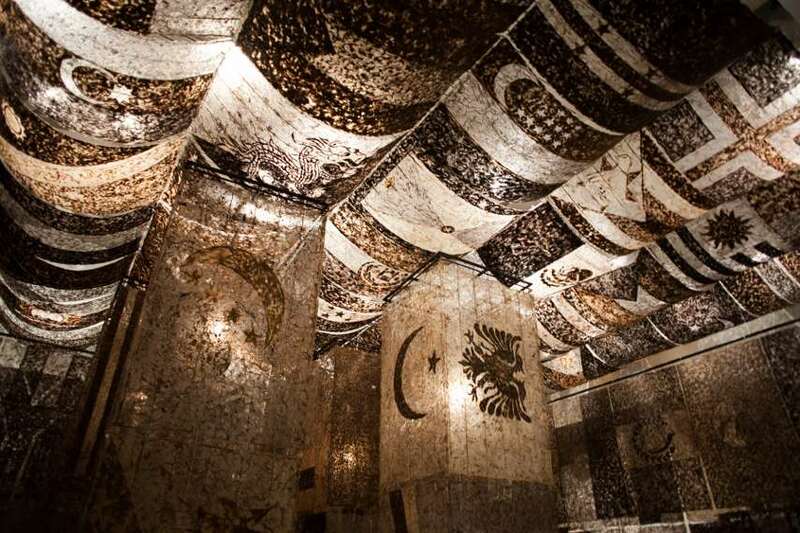 It is a series of installations with 21 national monuments and sub-projects in which the human hair is used for creating cryptic calligraphy in order to express a meaning of Internationalism. In The United Nations project every monument is a different installation and represents an art for itself in a contemporary setting. More than one million people from all over the world had contributed their hair for the United Nations project that creates an intense multicultural dialogue and transcends national and race differences. Critics have called the United Nations series a new form of mysticism and a great utopia of unification that can be made in art, which Gu himself characterizes as a work of universal peace and harmony. Among many other creative and inspiring artworks, Gu has one more on-going project since 1993. Namely, back then he started the project Forest of stone steles – an installation of 50 stone steles on which he retranslates and rewrites the poetry from the Tang dynasty. He translates it from Chinese to English and back to Chinese. His main occupation is the impossibility of translating one culture into another. But, as he says, cultural misunderstandings, misinterpretations, and mistranslations function as a great boost of inspiration and creativity and in that sense make the cultural communication possible and relevant. Gu notes that the creation of art is an experience itself, and that the reception of it in can be seen as a echo of this experience. He also insists on finding inspiration for his art in life and cultural exchange, avoiding gallery and museum exhibitions or work of other artists. Gu lives and works in New York City.